The interview I have laid out for you today is with an author I consider a good friend of mine so when I planned this whole feature out I knew that I had to include her new book, which is a huge jump from her previous novels. 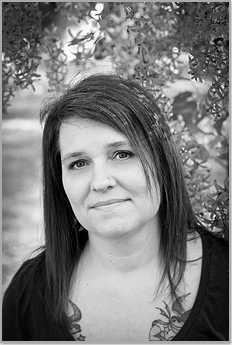 Today, here to talk about her upcoming novel, is Trish Doller! Peace, Love, Teen Fiction: First things first, describe The Devil You Know in 10 words or less. Trish Doller: One girl, two boys, Florida wilderness, murder. PLTF: Your novel has a body count in the sense that people are dying over the course of the novel instead of just before it starts, what was it like writing those scenes? TD: I was pretty uncomfortable because I’m the kind of person who will catch bugs and lizards so I can release them outside, rather than see them die. So even harming fictional people was hard for me, but for this story it was necessary for keeping the tension ratcheting up. PLTF: Was there any real-life inspiration for the events in the book? TD: Not really. The story evolved from a road trip story I was kicking around with some leftover boys from abandoned projects as the main characters. Instead, Arcadia popped into my head and started telling me her story and it just worked out well that these boys could play a sinister part. PLTF: How did you go about building the suspense in the scenes that required it? TD: With a lot of luck, I think. Writing suspense was much harder than writing straight contemporary, so I relied a lot on my critique partners and editor to tell me when I needed more tension. It was a very slow process for me, and definitely a learning experience. TD: My next project is an adult novel about a young woman whose grief over losing her boyfriend to suicide sends her to sea in the boat he always wanted to sail. Writing this one is definitely more in my comfort zone than THE DEVIL YOU KNOW, but now I have an unknown audience. I’d say…6 maybe? I don’t think it’s super scary, although I’ve been told it is. I am a big chicken when it comes to scary movies. Can I say Shaun of the Dead?! Last year I was Rosie the Riveter, not sure about this year. 1. Road trip or stay at home? 2. Go out and party or stay in and read? 3. Thrillers or straight contemporary? 4. Killing scenes or kissing scenes? Arcadia “Cadie” Wells has one primary goal in life –– to escape the sleepy Florida town where she was born and raised. Since her mother's death, she's sacrificed her boyfriend, her spot on the soccer team, and even her plans for the future to raise her little brother and help her still-grieving father. On a rare night out at a party at the local state park, Cadie meets a couple of good-looking tourists and impulsively agrees to join them on their road trip from one end of Florida to the other. But when their adventure goes tragically wrong, Cadie’s new goal is to make it home alive. Trish Doller is the critically-acclaimed author of Something Like Normal. Something Like Normalwas chosen for the YALSA Best Fiction for Young Adults list in 2013, as well named as an NPR Top 100 Teen Books finalist and 2o12 Goodreads Choice nominee. Trish's second novel, Where the Stars Still Shine, was longlisted for the 2014 Australian Silver Inky Awards and was a Winter 2013-14 Indie Next List pick. Printz Award-winning author Melina Marchetta calls Where the Stars Still Shine"heartbreaking and powerful". Her third novel, The Devil You Know, will be released June 2, 2015 and she is currently writing her first adult novel. Trish lives in Florida with her two dogs, two mostly-grown children, and a pirate. 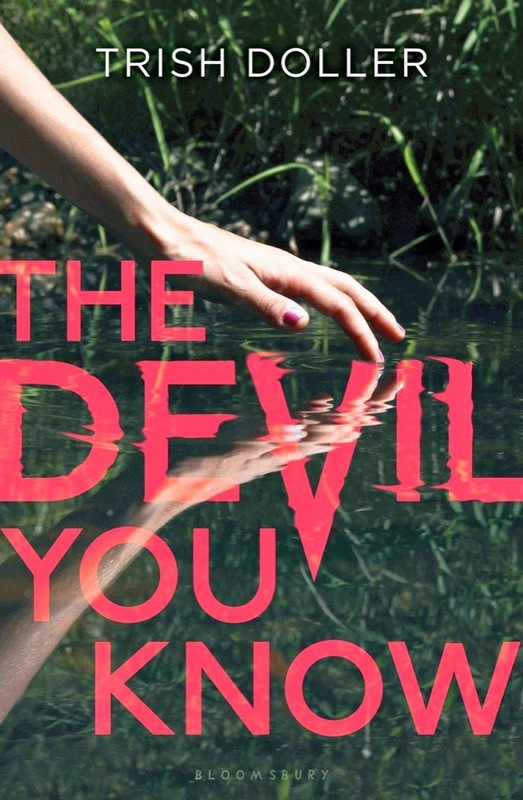 Trish has generously donated an ARC of The Devil You Know for one lucky person to win 6 months early! The giveaway will be open to the US and Canada and will run for two weeks! All you have to do is fill out the rafflecopter below! I've read all of Trish's books and LOVE THEM! Can not wait for this knew one and it's scary-ish vibe. So excited for this book! I've read all her other books! I absolutely loved Where The Stars Still Shine and this new book sounds like it's going to be just as amazing but in a totally different way. Thanks so much for such a great giveaway! I've only read Where The Stars Still Shine but I'm SO excited for this book! I have yet to read any of Trish's books! But I do own WHERE THE STARS STILL SHINE. I've heard great things about all her books and am excited for THE DEVIL YOU KNOW. Fun interview! Thanks for the giveaway! I have not. Where The Stars Shine seems very familiar though! I will have to read and check this out. I love Trish's books and I'm so excited for The Devil You Know. I loved Trish's other books. In extra excited for this one because I love a good thrilling read. Totally excited. It's been way too long since I've had a new Trish to read! Oh my gosh, I love Trish and can't wait for this book! I've read both of her books and absolutely loved them! Can't freaking wait for The Devil!! Counting down the days til The Devil You Know comes out! I love Trish's style of writing and I don't expect anything less for this one! can't wait to read this! love love love ms doller's other books. I am constantly recommending them. Big fan of Trish's previous books. This one sounds amazing! Can't wait to check it out. 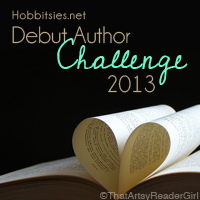 I haven't read any of her books but this post has made me add Trish's books to my TBR! I have read her other books and can't wait to read this one! I can't wait for this book! I love Trish's others, so I have a feeling this will be one of my favorites, too. I've read and loved her other books, and that's how I just know I'll love this one as well. I haven't read any of Trish's books but im extremely excited to read The Devil You Know! Thanks for the chance!!! I haven't read any of her previous books, but I have heard that they are amazing. I am very excited to read The Devil You Know! Thank you so much for hosting the giveaway!